Constructed of durable,protects your Apple Watch of its metal surface from scratch better. 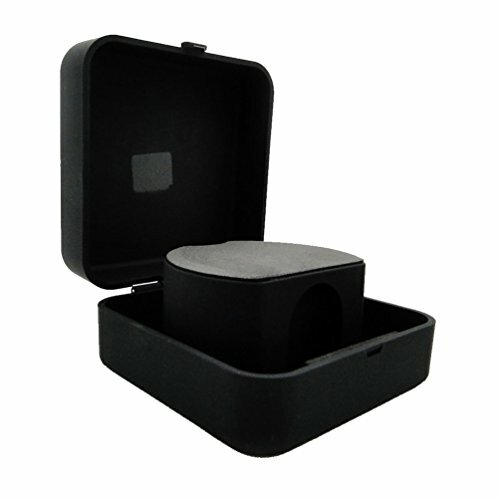 As small as your palm which is portable and convenient to place it in your bag,drawer or on the table. The cable organizer makes your bag, drawer and table to be more tidy,it'll never to be knot. Easy to operate,just open the protective layer,then put your Apple Watch of its magnetic charging sensor into slot, it will protect your Apple Watch Screen from scratch while charging. Wire slot design on the bottom securely keeps your Apple Watch charging cables tidy.